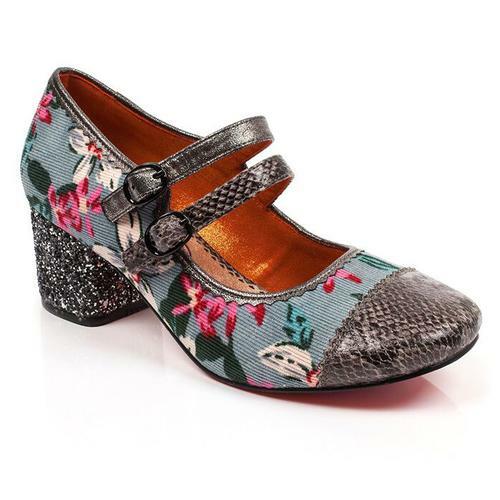 Irregular Choice 'Icarus' black Angel Wings heels with a gorgeous glitter effect, Retro crimped trims and fab floral flourish. Dare to fly close to the sun in Icarus by Irregular Choice. Beautiful shining heels that shimmer, glisten, and glow in the light. Velvetty black glitter heels teamed with stunning black and pink glitter upper and yep you've guessed it, angel wings in shiny black with hints of gold glitter! The wings elegantly cascade down from the back of the shoe to the heel. Limited edition and sure to catch the eye. Perfect for parties and weddings! 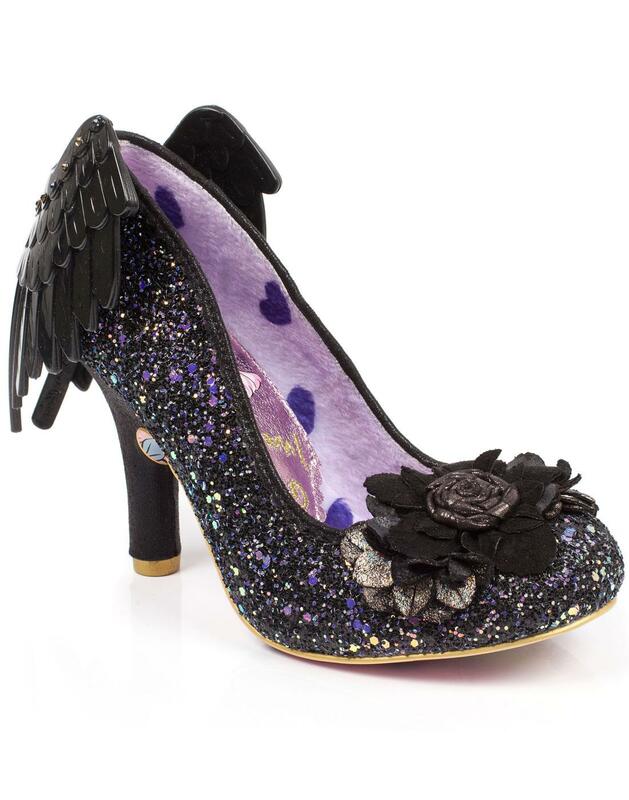 Devilishly divine Icarus Black Angel Wing glitter heels from Irregular Choice! 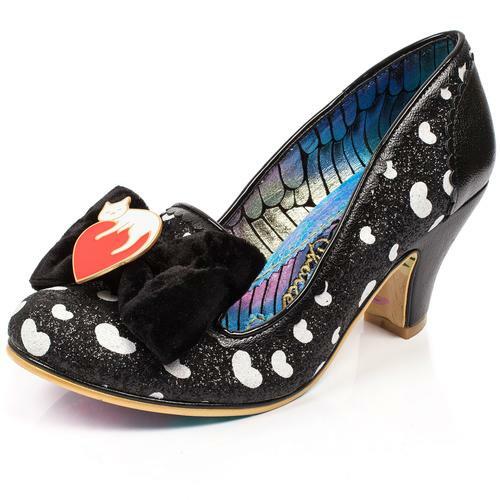 - Irregular Choice Icarus black angel glitter heels. - Stunning black and pink glitter upper. - Shiny black angel wings with hints of gold glitter cascade down the back of the heel. - black velvetty glitter heels. - Fabric flower detail to the front with silvery petals and stamen. 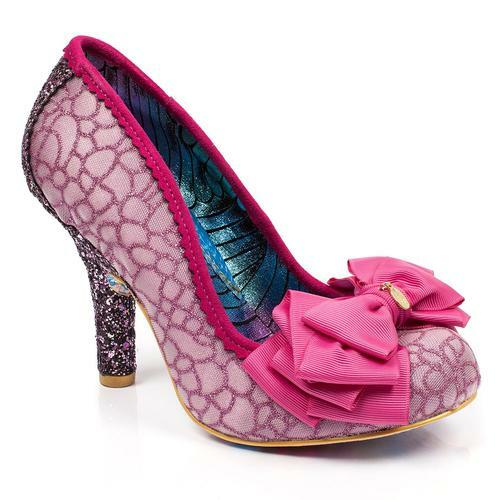 - Irregular Choice ornate pictorial sole. - Cute love heart textile trim to inner. - SKU: 4331-13 Icarus Black. Composition: Upper: synthetic. 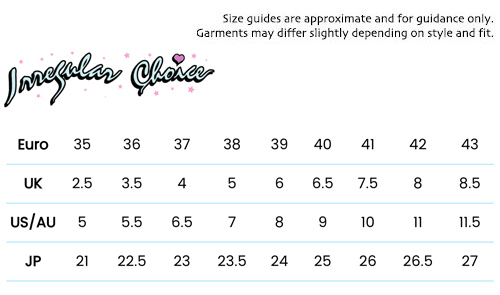 Lining: textile, synthetic. Outsole: synthetic.